Wolviston won the toss and elected to bat. They scored 35 for 10 in 20 overs (net 185). 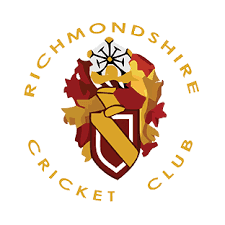 In reply Richmondshire scored 138 for 4 (net 318). It was a great bowling performance with six of the team taking wickets. Max Dale returned perfect figures of 2 wickets for no runs with Eddy Player, Joseph White and Oliver Ashton also taking two wickets each. Andrew Ralph and Finlay Clark took a wicket apiece. Isaac Bottomley didn't take a wicket but finished with two maidens in his overs. The batting was just as impressive with six of the team reaching double figures, Captain Clark (10), Max Percival (11), William Shaefer (11), Jack Van Niekirk (15), Andrew (16) and Joseph (20). All five pairs made a great contribution and the running between the wickets is getting better by the game.